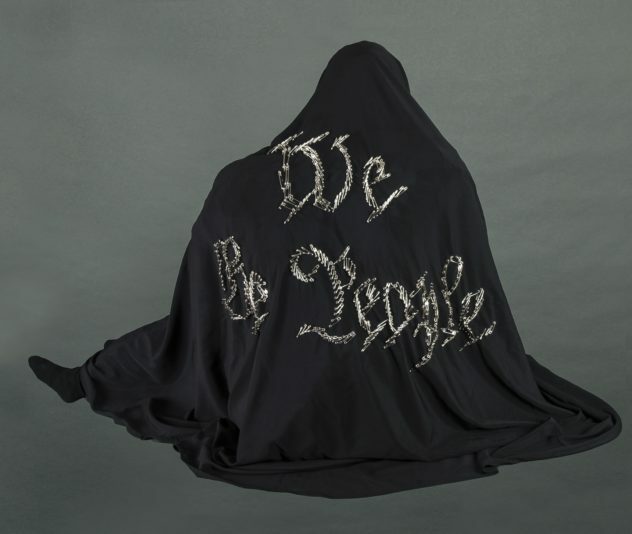 “We the People,” my life-scale figurative piece exhibited at the Zenith Gallery, speaks to the deterioration of our Constitution’s integrity when we ban immigration based on religion. 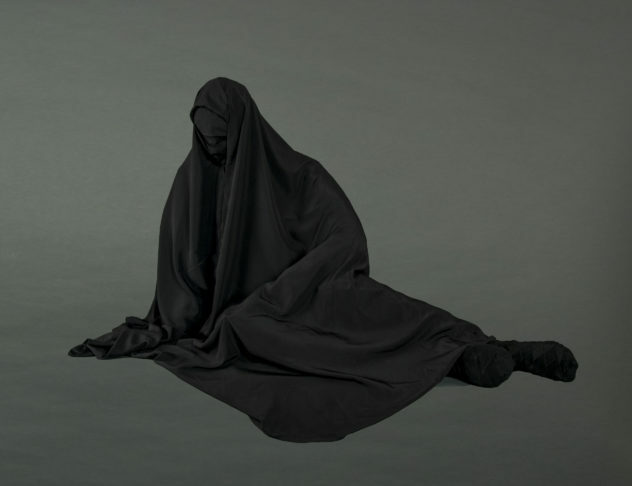 The conflation of the Muslim faith with terrorism displays a willful ignorance of this religion. Since 9/11 almost half of all deaths from terrorist acts in the United States have been perpetrated by United States citizens or legal residents who were alt-right: anti-abortion, Neo-Nazis, or anti-government. It is time to redefine terrorism. 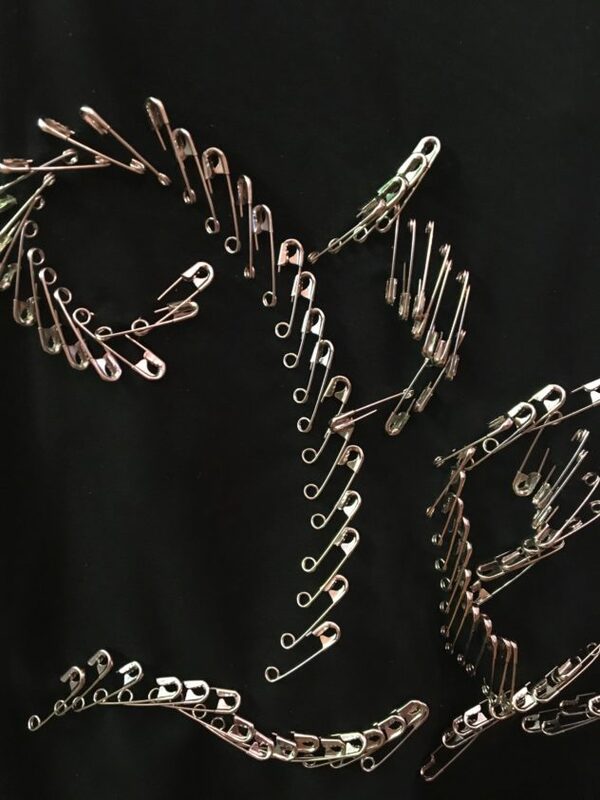 For those unfamiliar with the use of safety pins as a sign of protest, their use began when “stayers” wore safety pins to protest Brexit. On this side of the pond, the budding tradition continued with those aghast at the election of Trump adorning themselves in protest as well. If we truly want to save American lives, we should address the heroin/opioid addiction epidemic whose ravages claim the equivalent to a 9/11 magnitude loss of life every three weeks.